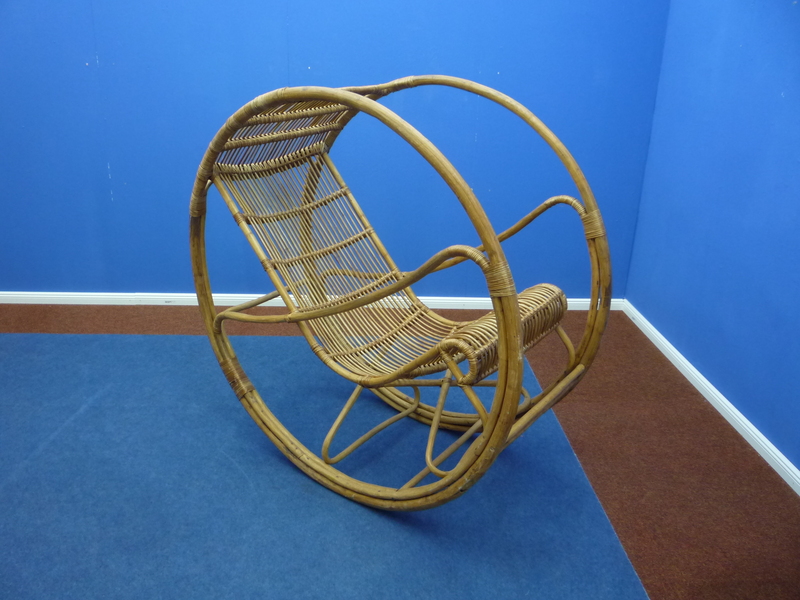 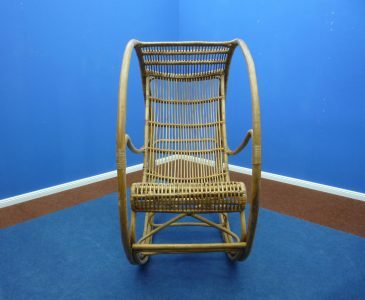 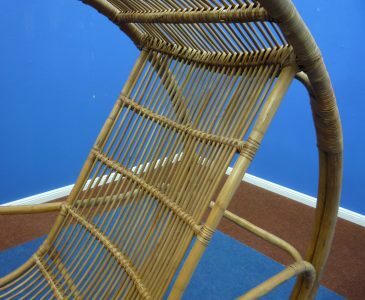 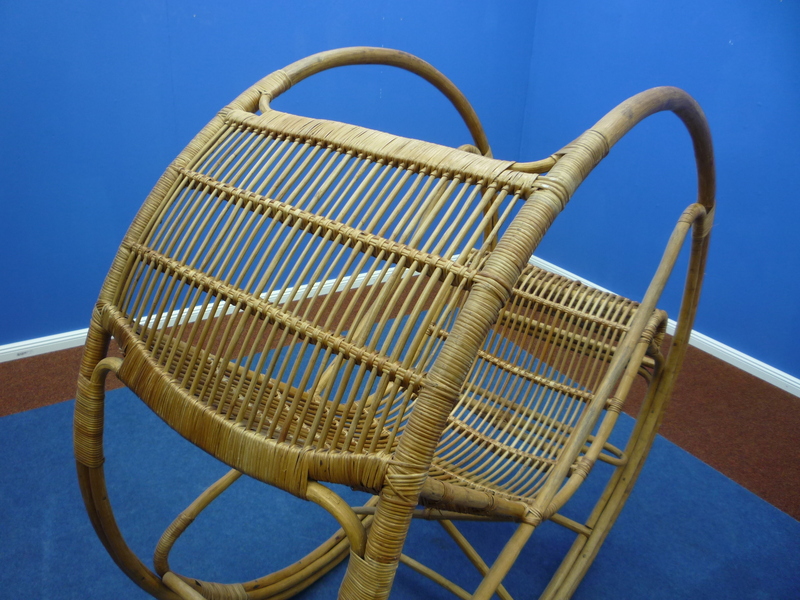 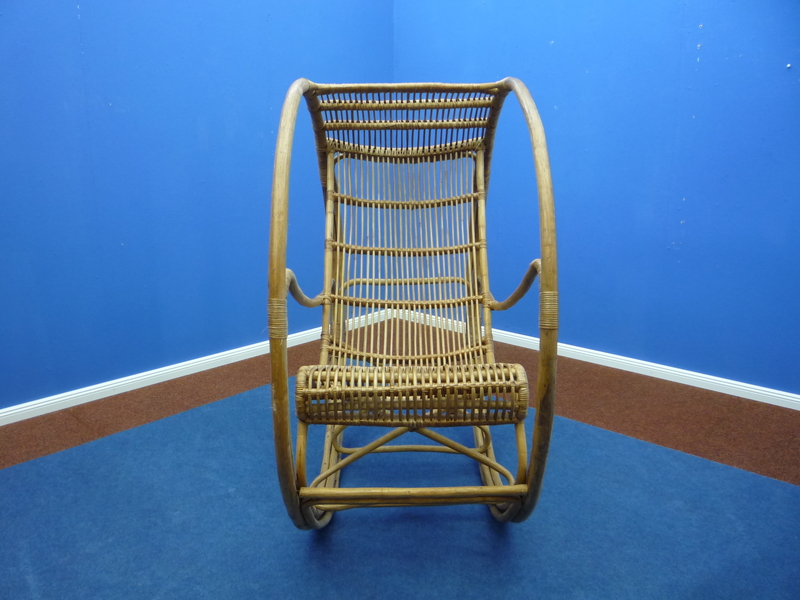 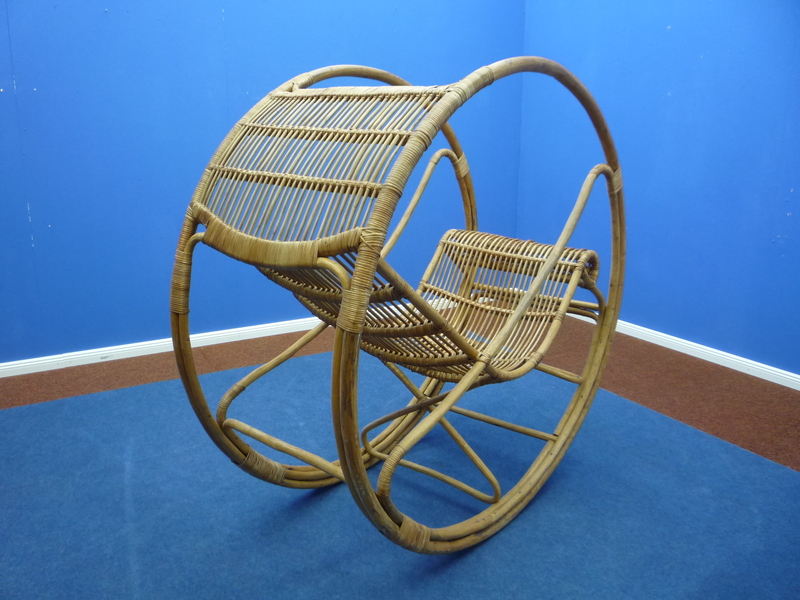 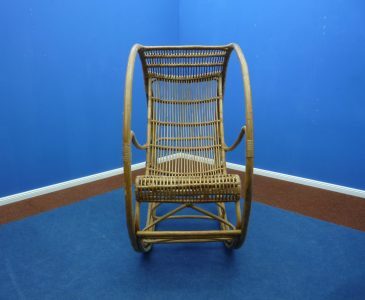 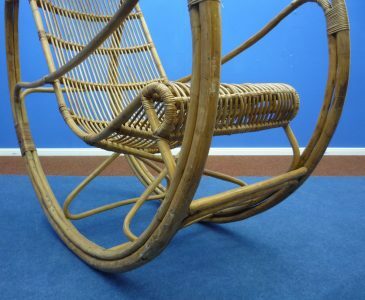 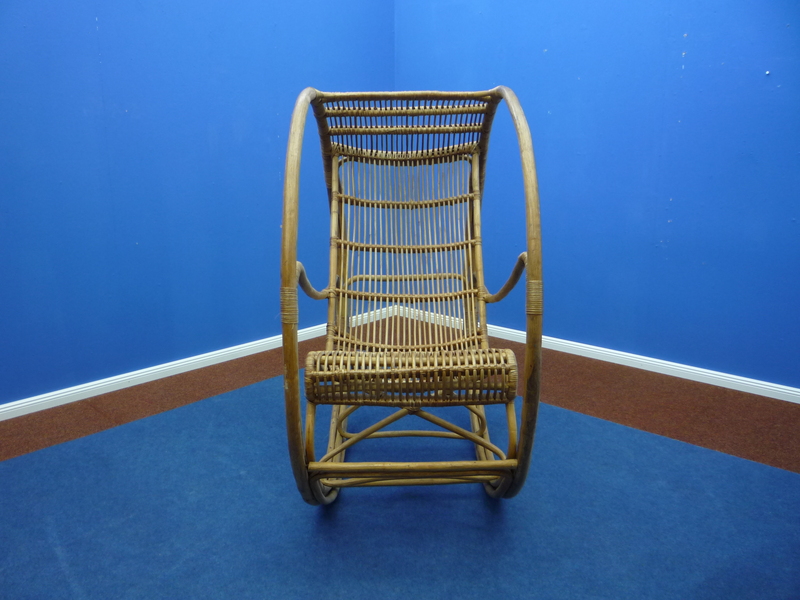 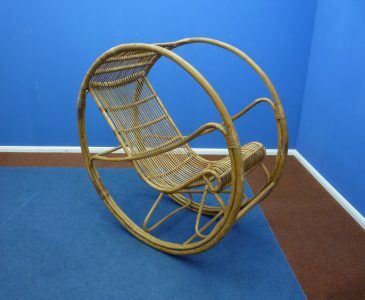 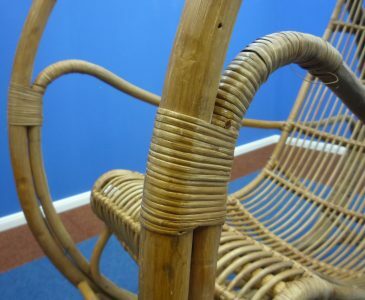 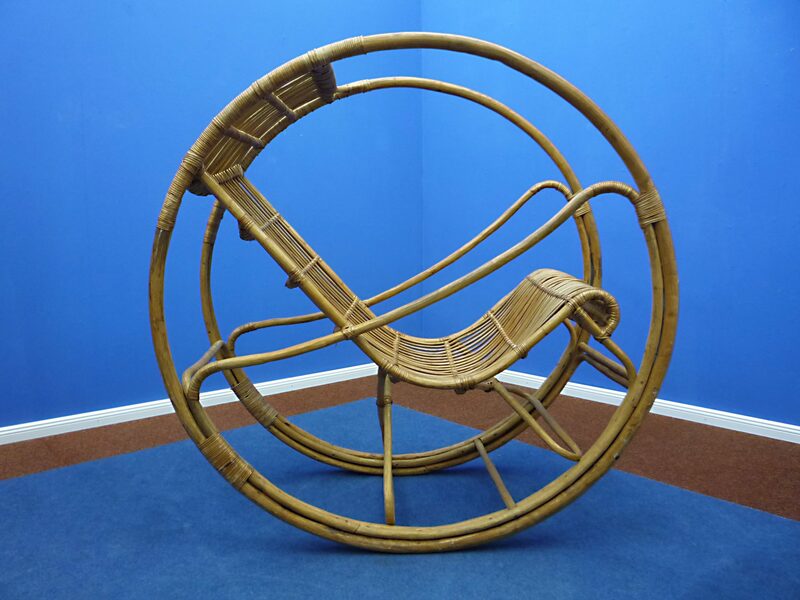 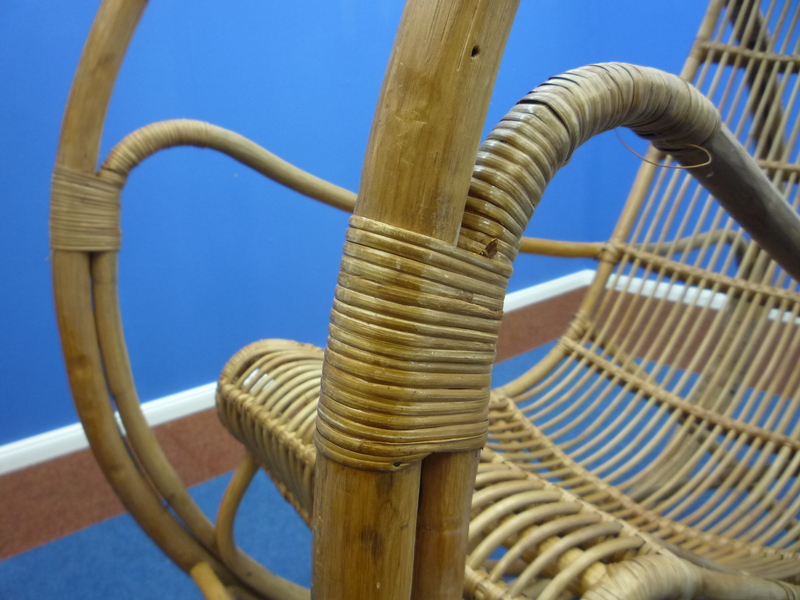 This rocking chair was manufactured in the 1960s in a style reminiscent of works by Franco Bettonica. 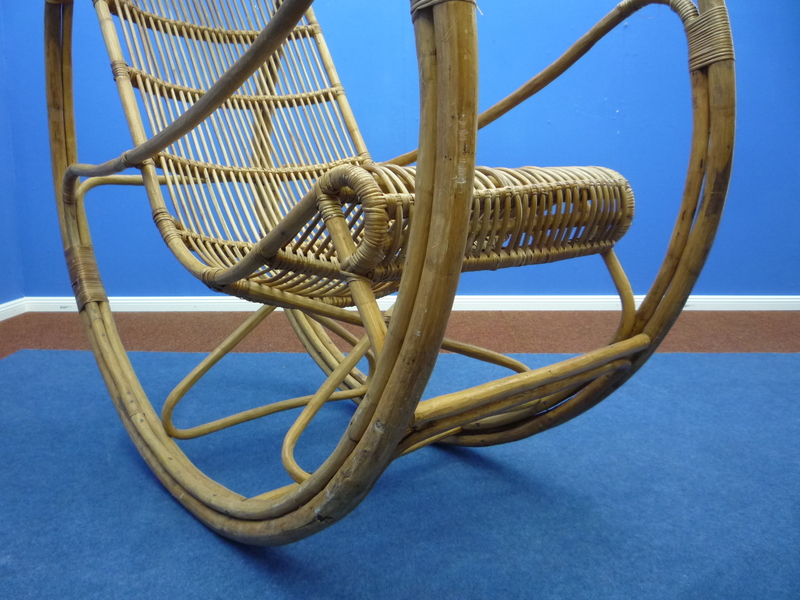 Good original vintage condition and minor signs of use. 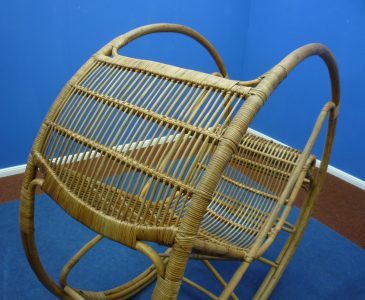 The rocking chair is stable and ready to use.